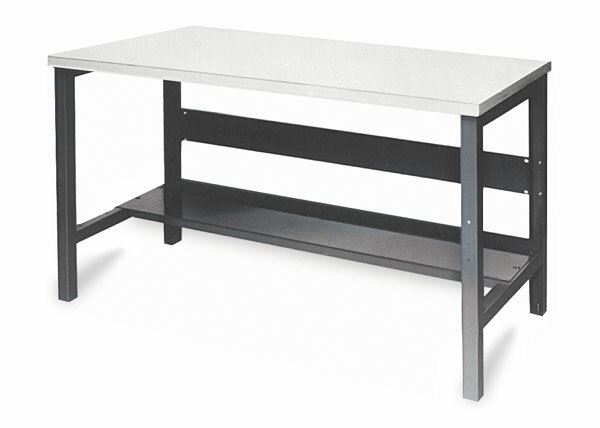 Select size 24" × 48" 24" × 60" 24" × 72" 30" × 48" 30" × 60" 30" × 72" 30" × 96"
These sturdy, all-purpose work tables are available in a variety of sizes. 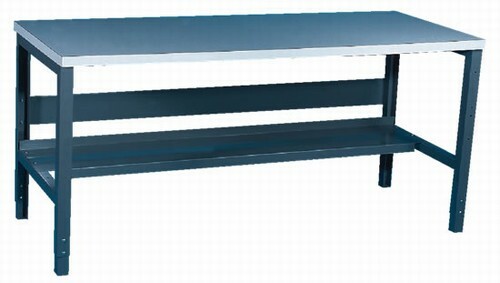 Table height is adjustable from 31" to 35" (79 cm to 89 cm). The formica top resists liquids and is easily cleaned making it ideal for ceramic workshops, art studios, and labs. NOTE: Truck shipment is required. The additional charges for a truck shipment varies depending on distance, weight, and size. Our shipping department chooses the best carrier based on their rates, service level, and availability. We will contact you with exact charges for freight when the carrier quotes the shipment. 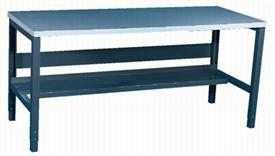 This is a non-stock special order item and will ship direct from manufacturer warehouse.